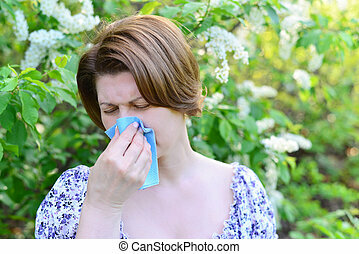 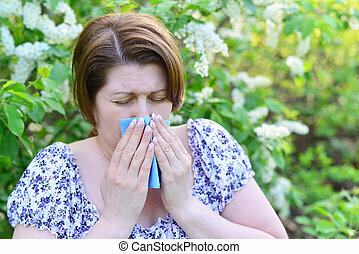 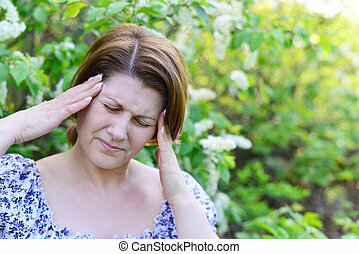 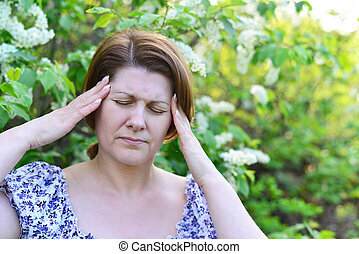 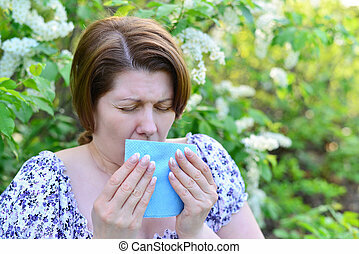 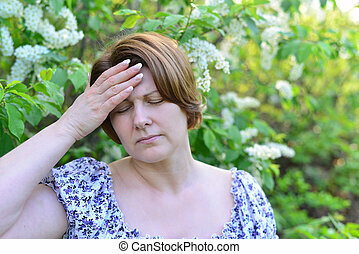 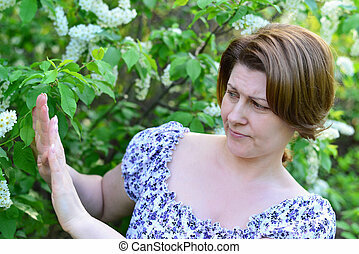 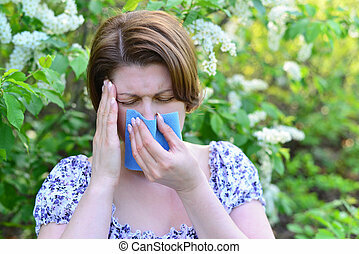 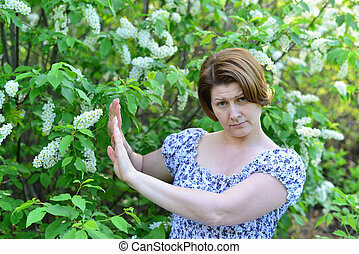 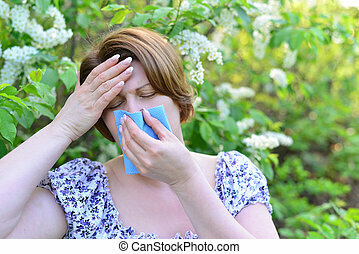 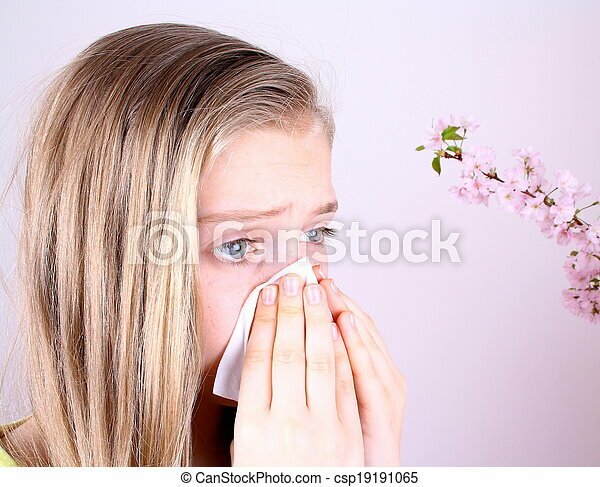 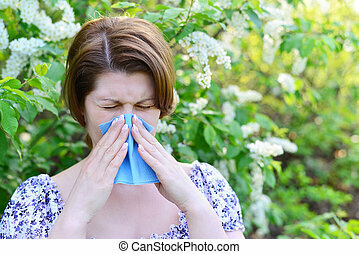 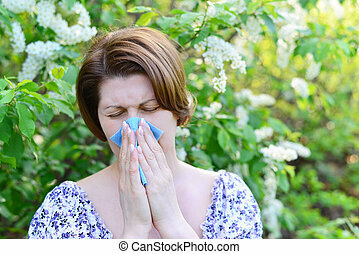 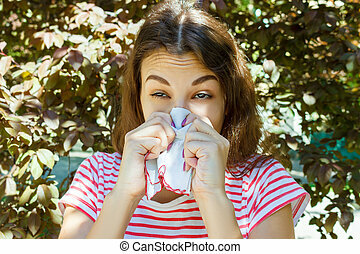 Girl blows her nose with handkerchief and cherry blossoms, allergy concept. 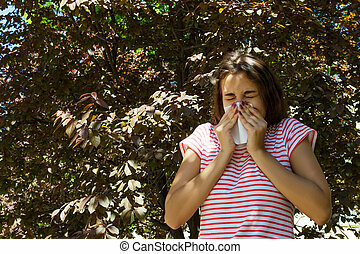 Young girl with allergy in autumn park. 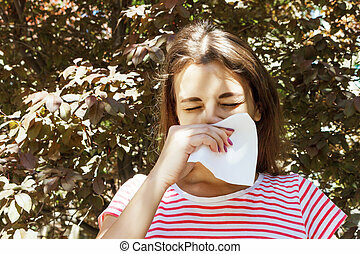 Sneezing girl blows her nose in a napkin.